How Augmented Reality is Transforming the Tourism Industry? Augmented Reality (AR) is the latest trend of this tech-savvy era. Despite having considerable existence since the early 60s, the concept of Augmented Reality only gained significant popularity in the past couple of years, mainly after the launch of AR-based mobile game, Pokemon Go. Starting its journey from the gaming and entertainment industries, the technology is now serving several other business domains, and tourism is one of them. Augmented Reality is capable of bringing significant growth to the tourism industry by providing better customer service. With AR coming into the picture, it becomes easy for the travelers to navigate their way in a new city and locate nearby attractions at the same time. That being said, several well-known brands have already started integrating several AR tools into their applications to enhance the customer experience. Google, for instance, during the I/O 2018 keynote launched the latest edition of Google Maps with an additional Augmented Reality Street View feature. The feature overlays the components of typical Google street view mode on the live feed, recorded via phone’s camera, to provide real-time navigations to the user. Furthermore, the feature also notifies users about nearby attractions. Even though this feature is in its Beta version, by 2019 is expected to reach all the end-devices. Apart from Google, Apple Maps, ViewRanger, and HoloMaps are some of the other AR based travel apps which have already been introduced in the market and are consistently receiving regular updates with exciting new features. But why exactly these brands are focusing on developing AR-based applications? How integrating AR into your travel/hospitality app can boost up your business revenues? In today’s’ blog post, we’ll be sharing our views on the benefits of Augmented Reality in the tourism industry. Before moving any further, let’s understand the concept of Augmented Reality in detail. Augmented Reality is a technology via which virtual or artificial objects are superimposed on the real-life footage, recorded by the device’s camera. What separates Augmented Reality from Virtual Reality is the interaction with the real world. Unlike a VR headset, 80-90% of the content that you see via an AR app is real, which makes it perfect to enhance the traveling experience of a tourist. Another leverage that AR has over virtual reality is ease of use. To have a Virtual Reality experience, one needs a VR headset, a mobile phone, and in some cases special controllers as well. All these gadgets when combined together cost around $800-$900 or even more. Augmented Reality, on the other hand, is accessible to every user who owns a smartphone, and doesn’t require the user to buy expensive gadgets. As we mentioned earlier, Augmented Reality is capable of bringing significant growth to the tourism industry, mainly because of the enormous possibilities that the technology has. 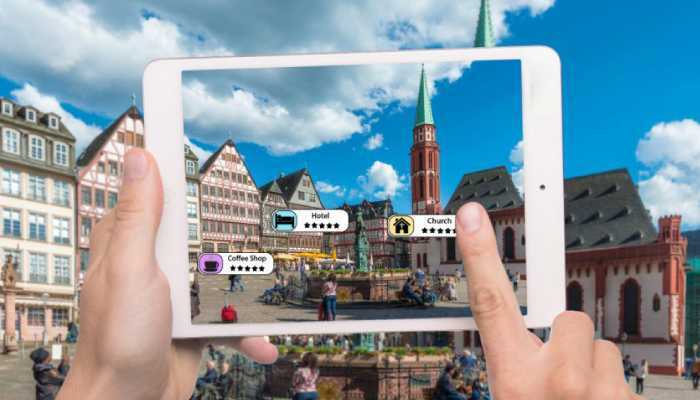 Augmented Reality can be utilized to tailor customized tourist-centric mobile solutions to serve different parts of the tourism industry such as hospitality and Accommodation, food, navigation, etc. Here’s how these different sub-domains can take benefits from Augmented Reality. When it comes to booking hotel rooms, Augmented reality does not have as much of a potential as a VR headset. Reason being, with an AR-based application, you cannot give your customers virtual tours of the entire hotel prior to their bookings. However, once the customer has checked-in, you can enhance their experience via an AR-based application. How? It’s pretty simple, start out by allowing your customers to navigate to their rooms using your hotel app itself. Once the customer is in his room, let him explore the hotel menu and other services using the app as well. Apart from this, we can also design your app in such a way that it allows the user to explore nearby attractions simply by pointing phone’s camera outside the window. Apart from staying in a hotel, a tourist wants to try the best local cuisines in the best restaurants while visiting a new pla￼ce. Restaurant owners can take their customer experience and revenues to a next level by integrating AR kits into their mobile applications. Give your customers a virtual presentation of any cuisine with your AR-based restaurant app. Let them check the reviews of previous customers to understand what they thought about your dishes and ambiance. At last, once the customers have finished their meals, let them spread the word about your restaurant on social media platforms using social media integration. Say you own a crowd-sourced review platform like Yelp where you allow your customers to locate nearby attractions, restaurants, and other local businesses. By integrating AR tools, you can completely transform the customer experience and save the tourists from those typical city tours. Let your customers be their own guide even in a completely unknown place. Start out by letting them check the reviews of nearby attractions, be it a restaurant or a tourist place. Once the tourist has decided where he wants to go, provide them with the shortest path using AR-based navigation system, just like Google’s Augmented Reality street view feature. Want to design your own crowd-sourced review platform like Yelp? Read- How to Design an App like Yelp. One of the biggest challenges for tourists, especially for those who are on a tight budget, is to find cheap and reliable transportation systems in a new city. However, with AR coming into the picture, we can design travel apps which turns any 2D transportation map into an interactive navigation system using which tourists can find the most suitable transportation system as per their requirements. Tunnel Vision, for instance, is one such AR-based mobile application which makes the New York’s subway maps come to life. Users can check different routes, a number of stops on a particular route, the status of a train, and last but not least, the traffic on any particular train. Another feature that will make your travel application outrun your business competitors is AR-based translations. The feature will let the tourists translate any signboard, written in different language, into their native language. This feature will be highly helpful for travelers who love exploring different countries. Google has already implemented this feature to Google Translate, which allows the user to translate any signboard into his native language simply by pointing phone’s camera towards the board. These are a few of the applications of Augmented Reality in the tourism industry. The world is transforming at a rapid growth, and now is the time to take your travel business to the next level. Augmented Reality, being the latest and reliable technology, can help your travel business to reach the heights of success. 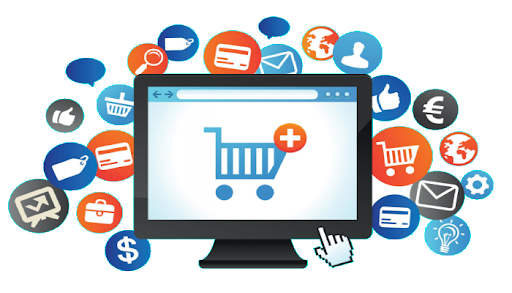 Provide your customers with the best customer services to enhance their travel experience.